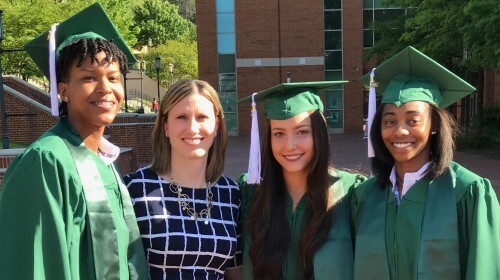 In addition to having a significant impact on the playing fields, in the classroom, on campus, and in the community, we are thrilled to report that our Leadership Academy alumni are also reaping long-term rewards in their professional lives. Here are the findings of a recent survey of Leadership Academy graduates. The survey clearly indicates the long-term benefits of the Academy. What specific leadership skills and concepts from the Leadership Academy have been most helpful to you in grad school and/or the professional world? The 360-evaluation was by far the most helpful concept/process both in completing grad school and now in my professional career. It is a skill to be able to accept (and use!) feedback, and it is rare that in the "real world" you get the chance to talk with others about your review is really saying - it is awesome that I had the experience of going through the 360 twice, and now am able to take criticism much less personally. Also, the Leadership Academy as a whole has come up as a significant topic in every single one of my interviews, both for grad school and for employment. It is always something I enjoy talking about, and always something people have lots of questions about. 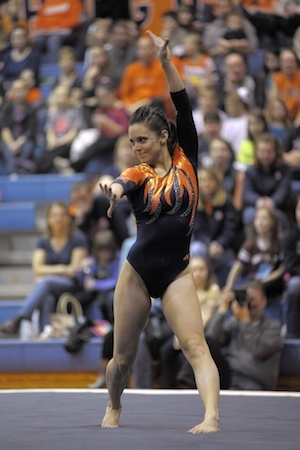 I am glad to be able to say my experiences were so positive and beneficial to me as a person, not just as an athlete. There have been a ton of helpful leadership skills and concepts that have been helpful to me in graduate school. I think that the activities that we did focusing on team building and goal setting has been most helpful to me in both graduate school and my professional career. The ability to learn how to flex my style to be able to work well with different people who may work and learn differently than I am used to. Also I learned that having a support group or being involved with a group of people who are in the same field of work as you (such as the leadership academy) that you can talk to and run problems by, can benefit your job and theirs. Usually in the leadership academy when one team brought up a problem another team of a different sport had dealt with that same problem. Having a support group helps solve problems faster. Especially when the members of that support group all work for the same company/university. I have also used many of the concepts that have been given to us at the leadership academy in a form of a coach's quote in my professional career. Concepts as simple as: listening first, then reacting and also the oreo theory of positive reinforcement (compliment, concern, compliment). Learning how to manage others and opening myself to the variety of perspectives offered by colleagues. Developing a strong voice to convey my thoughts to senior leaders. Communicating appropriately with other members of organizations and teams. Understanding the motivations of others. Knowing my strengths and weaknesses as a leader and therefore working better in a collaborative environment. The conflict resolution practicum was the most applicable. Everyone has a different leadership style and when in group situations, tension and disagreements are inevitable. But it is how you handle these issues that sets me apart - this was by far the best training I have received in this area, and I use it EVERY day at my job. I only participated in the Leadership Academy for one year during the first year of the Academy at Illinois, but as a captain of the swim team it was helpful learning how to effectively communicate with teammates, deal with conflict that arose within the team, and how to successfully get my point across when having a pep talk/conversation dealing with a negative issue. Being able to use constructive criticism is a positive way, rather than being defensive. I think that as a captain on the soccer team, my ability to communicate difficult messages to the coaching staff in a respectful, but productive way has prepared me for interaction with bosses in the professional world. I also think that I learned how to be a mediator between higher authority and my colleagues. Learning how to effectively lead in groups (large or small) has been extremely helpful in my profession. Also, learning how to lead at different levels of experience has been important, and how your role can change when you have 1-2 years of experience versus 3+ years in the business world. Being able to immediately enter the work environment prepared for a leadership role. Approaching conflicts and solving them in a mature, fair way. Distinguishing between vocal leader and leader by example helped make more sense of being a leader to me. 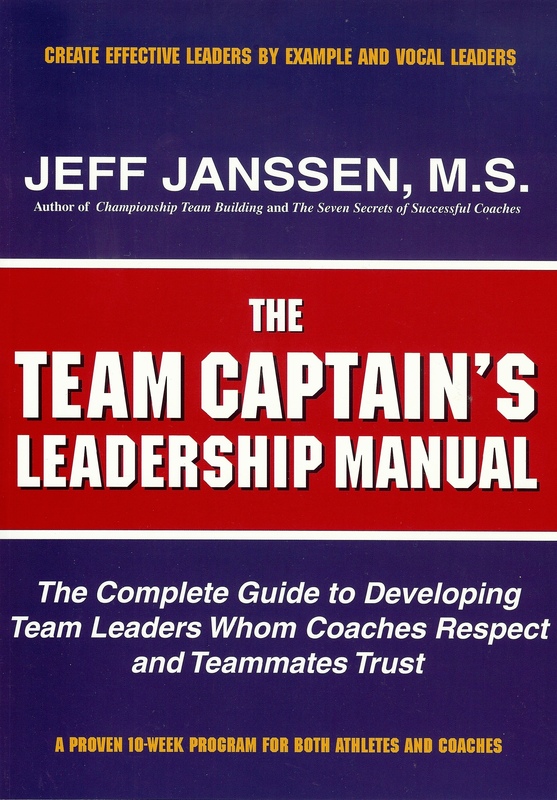 I think all the concepts have been extremely useful, but it has been the tips and activities in the The Team Captain's Leadership Manual that I have turned back to the most. I think the most specific leadership skill I gained from participating in the Leadership Academy was the concept of true teamwork. I've realized that EVERYONE in a group has some kind of unique contribution that can be given to a group. Sometimes we all think that our own ideas are the best ideas. The Leadership Academy taught me that the most effective team or group is one in which everyone contributes and feels like they belong to. Knowing how to identify and solve problems and opportunities. Knowing how to motivate people and encourage them to accomplish goals. Knowing how to recognize things that I can control and things that I can’t. 360 Evaluations were immensely helpful in terms of opening my eyes to the perceptions of others. 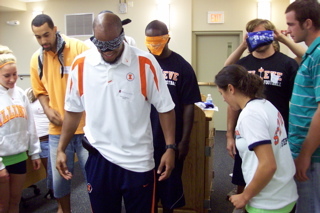 The communication exercises and emphasis on team building. Graduate work (especially work in any management/business program) is nearly 100% group work. 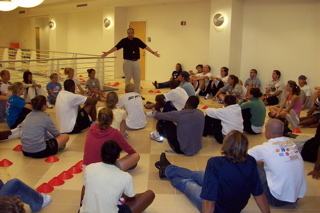 What would you say to a current student-athlete if he/she asked you if he/she should get involved with the Leadership Academy? 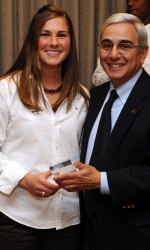 The Leadership Academy impacted all aspects of my life. From the trainings I not only improved myself in an athletic setting, but in a social and academic setting as well. I learned leadership skills that I could apply to group projects in the classroom, I learned conflict resolution skills to help me in social situations, and I learned a lot about myself, my leadership style and how I can better present myself in the workplace. I use what I learned from the Leadership Academy EVERY day in my current position and highly recommend that you get involved with the program. I would say that the Leadership Academy was one of the most valuable skill sets that I took away from my college experience. 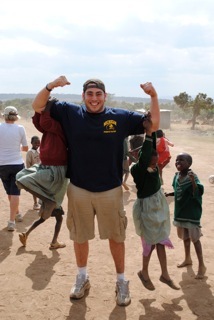 The topics covered were the most valuable to me off of the playing field. 100% YES - get as involved as you can be. Strong leadership skills are skills that you can take with you not only when you graduate, but skills you use and continue to build on throughout your entire life. You can be a leader every single day of your life, whether you're playing in a game with your team, in a work environment, or out to dinner with your friends. It's one of the most important qualities you can have as an individual, and the Leadership Academy does an outstanding job of teaching you how to be the best leader you can be. It's a great tool to help you not only in the sphere of sports, but also very valuable going forward in your professional career as well. I would say that it is one of the most rewarding experiences if you immerse yourself in it, and prepares you with the skills to have a competitive edge in every domain. It is a worthwhile experience that will help you in many different areas of your life. It's fun, too. And it is one of those things that is available to you in college as a resource, and you should take advantage of it! I think the program was great because so often, we are given titles like "captain," but never taught what to do with that title. We might be expected to suddenly turn into a good leader. This program really guides you through that process and teaches you how to be a leader. I can't say enough good things about the Leadership Academy. I was able to learn about other great leaders, bring my own team problems to the group for help and leadership guidance, and also was able to gain confidence in myself as a leader. I feel as though this is a must for young student-athletes if they are looking to grow in their sport/team/life. My advice to current student athletes would be to get involved as soon as possible. I would say ABSOLUTELY without a doubt yes, get involved! Giving up one or two nights a month is a small sacrifice for the knowledge, skills, and experience gained by participating in this program. Student-athletes should feel lucky to have such a program at their university. The skills you learn in the Academy really stay with you after graduation. 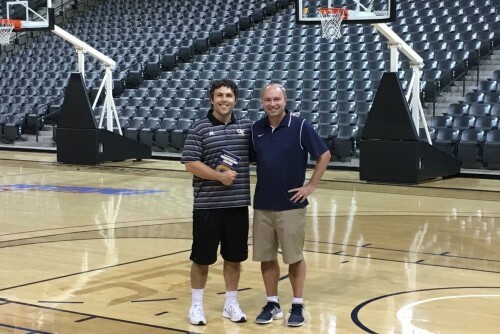 If you learn nothing else in the program (which I assure you will not happen) you will get to meet Jeff, whose passion and experience are inspiring in and of themselves. Absolutely! You'll grow a lot as a person and learn leadership skills that will help you on your team now and in your career post-graduation. It isn't even a question - you 100% should if you want to be equipped with the tools to excel not only in your sport, but in the next stages of your career. I would strongly encourage peers to get involved in the program because it was effective at teaching me not only professional skills but also skills that can be used in your personal life as well. I would highly recommend they get involved with the Leadership Academy. 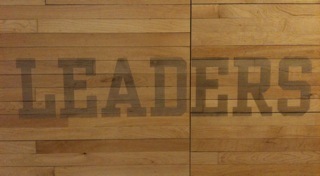 The program has helped me take a closer look at the leadership styles of myself and my teammates. It has prepared me to handle many different team situations which can be paralleled in the work place. The Leadership Academy verbalizes the lessons and skills that we see in action and hope to learn through our athletic careers. The activities and discussions are memorable and valuable to developing as a leader and gaining a better understanding of oneself. I took away many great concepts and have been able to apply them in my studies in graduate school. Also it really instilled me with a great level of confidence. Being recognized as a leader helped me to build my confidence as well as my skills in leading groups of my peers. This is a skill that will be of great use for the rest of my life. It's absolutely beneficial for a person to have this type of training for personal and professional life. The skills the leadership program develops are fantastic, but even more important is the increase in confidence and feeling of self-assurance and self-respect that a person experiences. Definitely join, it's a great interview conversation and it's a good learning experience. I would tell them to absolutely do it. I've learned so much from the Academy and especially from our Leadership Coordinator. I have no doubt that I will use the lessons I've learned in the Academy throughout my entire life. 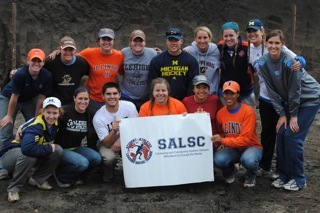 Also, I love the Leadership Academy because it exposed me to Student-Athletes Leading Social Change (SALSC), which is something I am extremely passionate about and love being involved with. I would say get involved, you not only learn about leadership but you learn about yourself as well. It's a great tool to help you not only in the sphere of sports, but also very valuable going forward in you professional career as well. DO IT! It was one of the most meaningful and revealing experiences throughout my college career, and lessons from the Leadership Academy continue to benefit me in my professional life today. It is so rare to have such an in-depth study on leadership and how it applies to group dynamics. Take advantage of this AMAZING resource while it is available to you! To learn more about developing a leadership program at your school that will contribute to your student-athletes for decades to come, contact us at jeff@jeffjanssen.com or 1-888-721-TEAM.